ALAT by Wema Bank - Mobile Banking Application In Nigeria - Download Internet Application For Android, iPhones, Windows Phone. WEMA Bank PLC has launched a full-fledged, complete digital banking application that promises to redefine the way you bank in Nigeria. The bank, ever since its underwent nationwide restructuring and re-branding, has been churning out innovative financial product by leveraging on technology to make access to financial services easier and limitless. 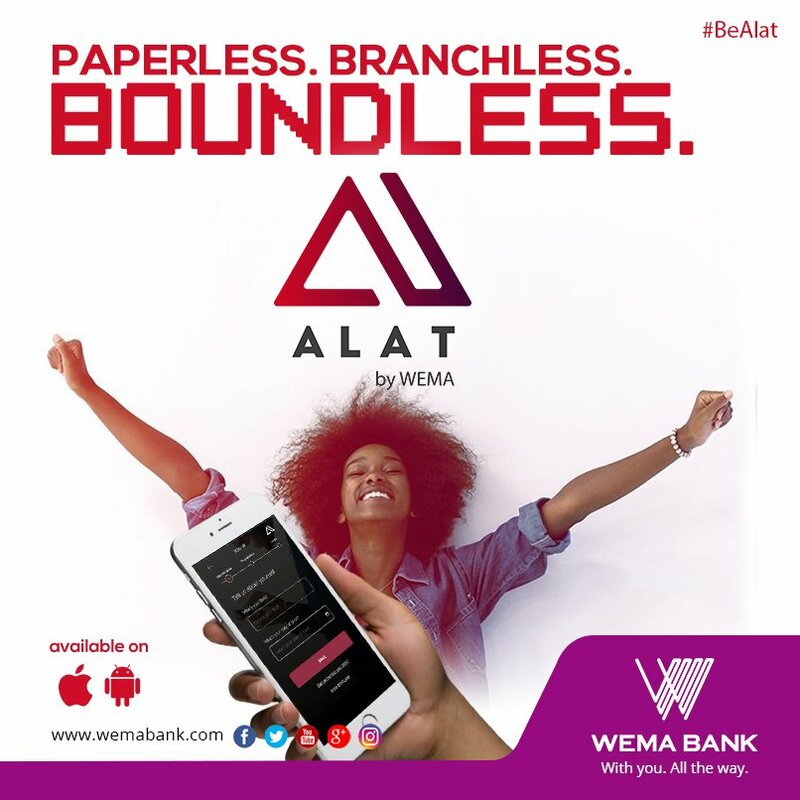 With the new ALAT mobile application, you do not need to visit the banking hall before you can carry out transaction as the app comes with banking features you need to open an account easily, verify your identity, request for debit card, activate and transfer money to friends and family anytime, anywhere. Users of ALAT by WEMA Bank account can also enjoy an attractive interest rate of up to 10% on their savings plan on an annual basis - a return that's better than your normal savings account. They can also schedule recurring bills like DSTV, PHCN, GOTV, etc and get the application to automate payments. Open an account from your phone, and verify your details using BVN and mobile number. Start saving easily and earn 10% annualized interest. Request for a debit card and get it delivered in 2 business days. Control what happens on your debit card, unlock and lock it for security. Enjoy self service like PIN change, personal information update and document upload.